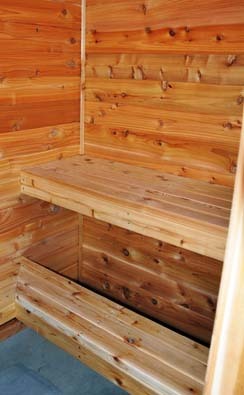 Take a break from crafting and relax in our sauna! Located in the lower level bathroom a nice hot invigorating sauna will leave you feeling refreshed and ready for some more crafting action! We designed this efficient bathroom to eliminate waiting: While one person showers, two others can use the double sink!